Reading is good for you after all! Aha! Reading 27 books last year was good for something. This says I can read almost as fast as a high-scoring college student. That is great news, but sadly that speed is temporary. I doubt I could keep that reading speed up for more than a page with the same level of comprehension. I get distracted from sight-reading too easily. 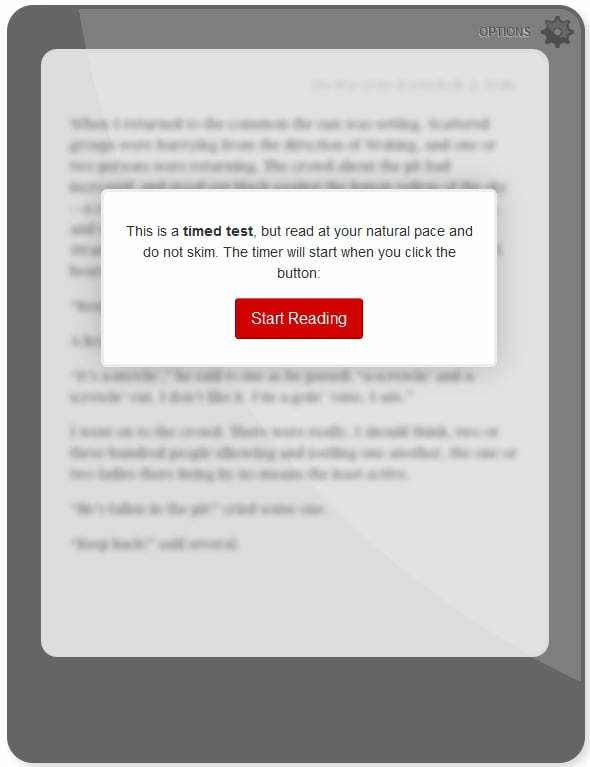 You can test your reading speed at the link below. Also feel free to connect on Goodreads so we can watch each other progress to speed-reading level status, one book at a time. This entry was posted on Thursday, February 6th, 2014 at 11:11 pm	and tagged with reading, reading speed and posted in Uncategorized. You can follow any responses to this entry through the RSS 2.0 feed.